Reshape the way your customers wait to be served. 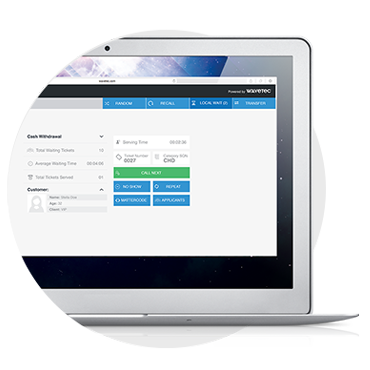 Take control of your customer’s queuing experiences with Virtual Queuing. 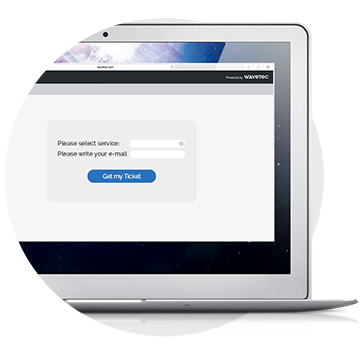 Wavetec’s Enterprise Virtual Queuing System enables you to define the way your customers are managed in service areas. Our queuing system is an ecosystem of interconnected modules that helps to deliver a personalized customer waiting experience. 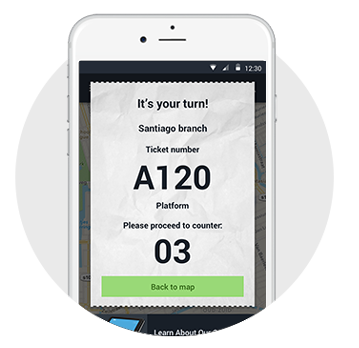 From a customer’s arrival at a service area to the customer’s exit, we have it all mapped out for you with our take-a-ticket solution. 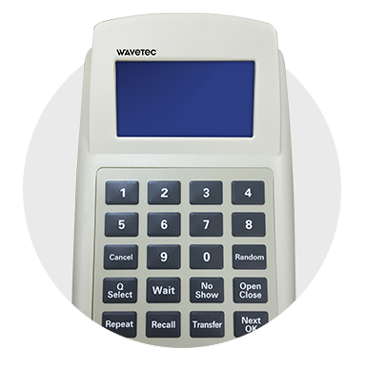 For over 27 years, Wavetec has been transforming how companies design their servicescape. 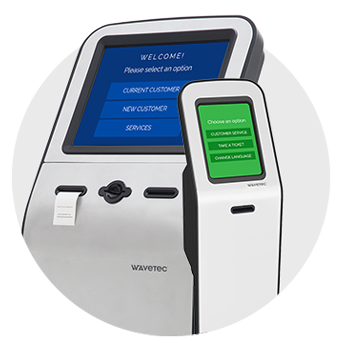 Wavetec provides a state-of-the-art Enterprise Virtual Queue Management System (QMS), with a current design and a customizable and standard, enterprise level information system to map customers’ journey and enhance customer experiences. Change the way your customers wait, and take control of your queues. 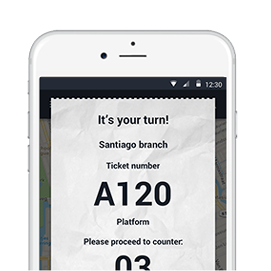 Our take a ticket system helps you organize your queues by providing customers with a virtual queuing solution to book appointments or take a ticket via mobile app or ticket dispenser. While waiting to be served, customers are engaged using digital signage solutions and informational queue displays with promotional messages and queue information. 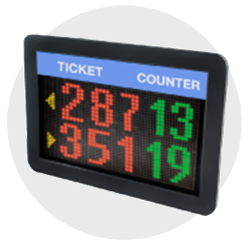 We have an assortment of various queue displays to suit the needs of our clients. Whether you want to have a queue display in your waiting lobby to inform your customers of their turn, or want counter display units at your counters, we can do it all for you. 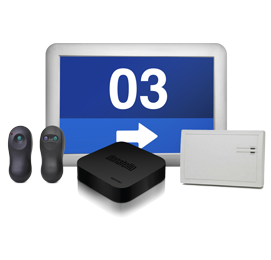 The Workstation Terminal software and hardware is used by customer service personnel to call customers, transfer them and provide service. Turn your tellers into sellers. 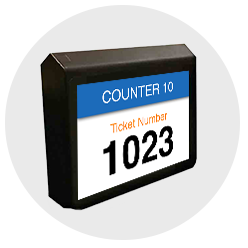 Our counter work station calling terminals allows staff to call customers to service counters based on pre-defined priority or on segmented methods. It also provides staff with real-time views of customer waiting numbers, wait times, and type of services required. Once served, the customer records his experience through feedback units. Opinion Plus is our proprietary feedback solution that helps extract data about customers’ experiences and find out what they expect from you. 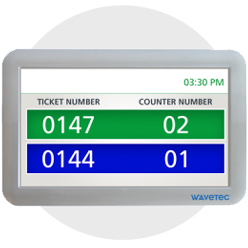 Wavetec’s Opinion Plus range consists of different touchscreen devices that are used by customers to provide feedback about their service experiences. Obtaining feedback is quick and simple, ensuring an unparalleled amount of daily feedback. 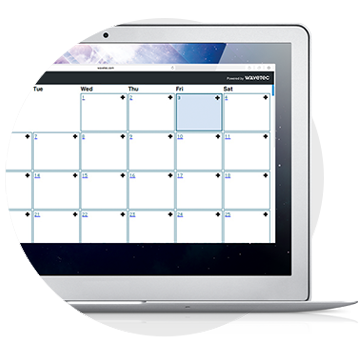 Schedule single, multiple or looped questions and collect your feedback through different channels. You can use a kiosk or a tablet or even your mobile app to provide your customers the convenience to record their feedback. 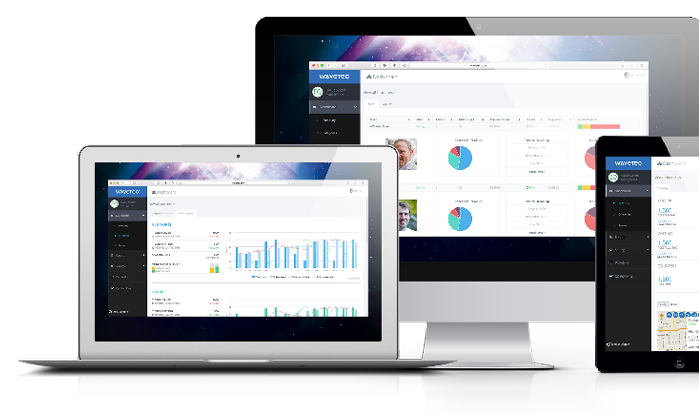 Managers access real time business intelligence reports and dashboards through a centralized reporting system. Wavetec’s live reporting system and manager dashboards are integrated with the different facets of queue management system thus they form a complete business intelligence module. Our reporting system is a complete enterprise solution that is capable of extracting comprehensive insights in terms of customer flows,staff performance, service area efficiency etc. Managers can view region and branch reporting from a centralized location, making sure that all service levels are met. 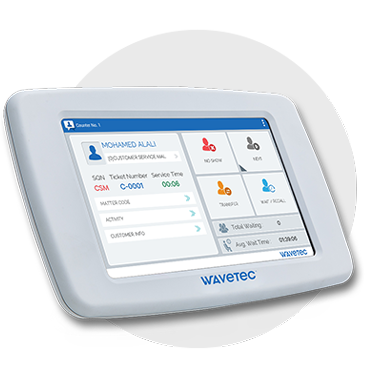 Wavetec’s live dashboards can be used to generate business intelligence data to monitor center-wide service quality and root out discrepancies. 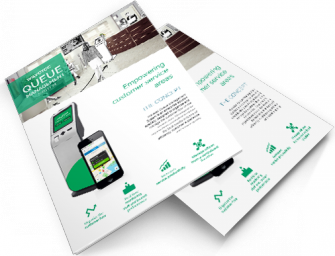 Download our Queue Management Brochure to learn more. We have wide ranging expertise in refining service areas at banks, hospitals, government organizations, service centers and retail areas. Our Virtual Queuing System helps to empower you a step further to deliver seamless customer experiences. 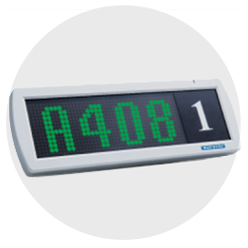 Find out more about our queuing system, its key features, and technical specifications. Selecting the right queue management system has a direct impact on your customer service. 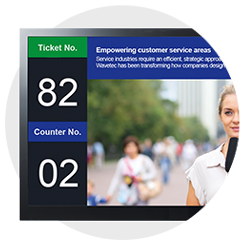 Our queuing system combines the highest quality ticket dispensers, queue displays, and queuing dashboards to offer unparalleled performance and customer experience. Get a A Free Demo Today!